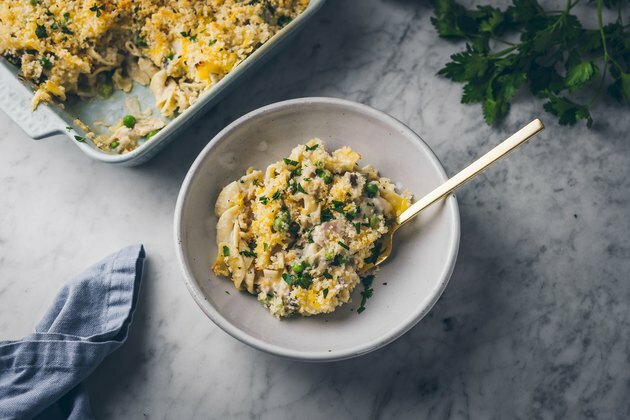 A cheesy tuna noodle casserole is a really interesting way to enjoy this fantastic fish — it combines several different tastes but does so very well. 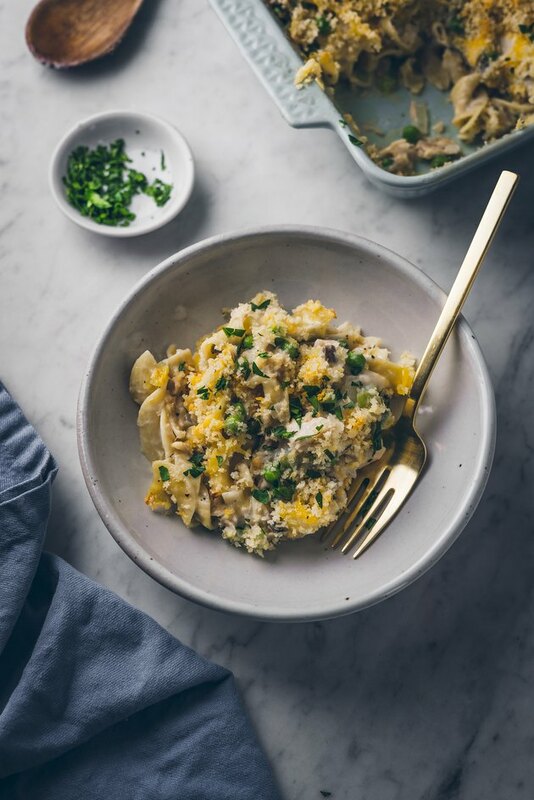 The result is a wonderfully simple yet filling meal that is absolutely packed with flavor. 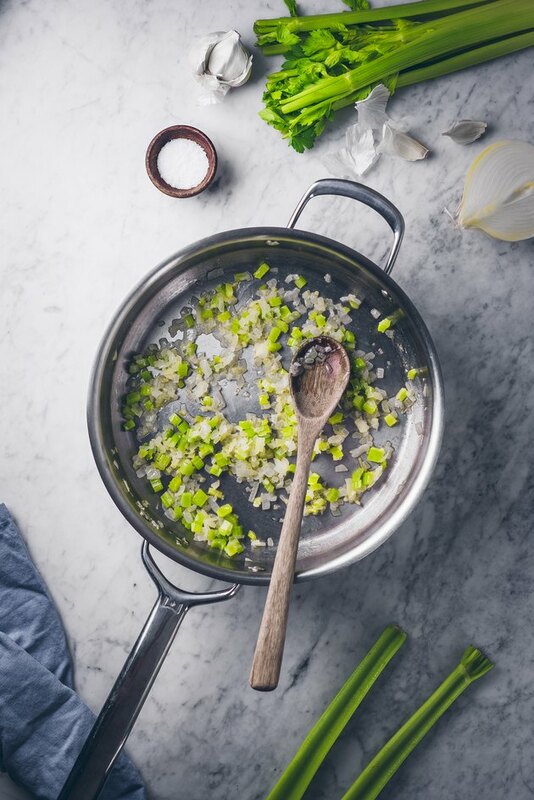 It comes together in only a few simple steps, making it an ideal dish to cook when you're short on time. Heat oven to 400°F. Melt 1 tbs butter in a medium-large saucepan set over medium heat. Add the celery and onions and cook for about 6 minutes or until tender. Add the garlic during the last two minutes of cooking time. Add the cream of mushroom and milk to the saucepan and whisk together until smooth and warmed through. 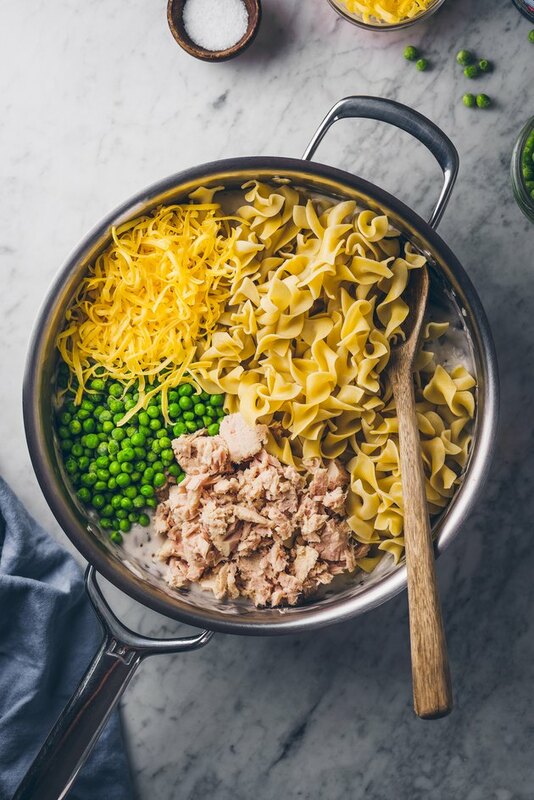 Remove the saucepan from heat and add the peas, noodles, tuna, and 3/4 cup cheese. Mix to combine. Taste, and add any additional salt and pepper as needed. 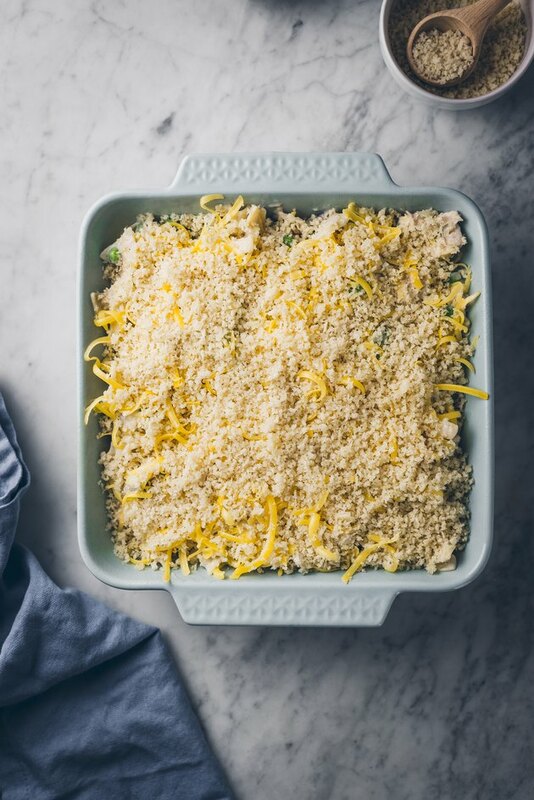 Pour the pasta mixture into an 8x8-inch baking dish that's been lightly greased. Top the noodles with the remaining 1/4 cup of cheese. Mix the melted butter and bread crumbs together and sprinkle over the pasta. Place in the oven and bake uncovered until golden brown and bubbly, about 20 minutes. Top with freshly chopped parsley and enjoy while hot! Serves 4 -6.